 At the Arc San Francisco, we strive to be the leader in advancing lifelong learning and achievement for the adults with developmental disabilities we serve. Framed by our values of Client Success, Operational Excellence and Trust and Transparency, "Future Forward" is a three-year strategic roadmap designed to build a stronger organization, strengthen operations, and redefine how we envision the future for individuals with developmental disabilities. For more information, contact Connie Tabas at ctabas@thearcsf.org. The Arc San Francisco, San Francisco International Airport and select carriers have partnered with The Arc San Francisco in a dynamic program designed to help individuals with developmental disabilities and families better prepare for the challenges of air travel. The program includes a pre-boarding workshop with helpful tools and tips provided by clinical specialists, plus an on-board practice. From ticketing and security to buckling up on a 747, the Ready Set Fly rehearsal provides all the sights, sounds and supports needed for a successful air travel experience. The program is offered annually in September and is sponsored by SFO, The Arc SF and partner carriers. For more information, contact Joanne Rolle, Chief of Services, jrolle@thearcsf.org. To fill the gap in the care system for people living Alzheimer’s Disease and Related Disorders (ADRD), the SF Department of Aging and Adult Services, in partnership with the Alzheimer’s Association, The Arc San Francisco and UCSF, have teamed up to implement a 3-year training and support system for caregivers and service providers supporting seniors and individuals with developmental disabilities. Adults with Down syndrome are at particular risk for ADRD. The 3-year initiative includes a “Savvy Caregivers” training for families, the “Alzheimer’s Care Academy” for service providers, and dementia screenings in partnership with the UCSF Memory and Aging Clinic. Clients of The Arc SF identified as at risk for ADRD and their families will participate in the project, as well as other at risk individuals with developmental disabilities in the community and their families. For more information, contact Arc Project Lead Kristin Rains at krains@thearcsf.org. The Arc San Francisco is proud to partner with AT&T to transform the access and utilization of technology for individuals with developmental disabilities by incorporating Individual Technology Plans (ITPs) to define each Arc client's specific needs, strengths and opportunities related to technology. The ITP identifies technology goals that are attainable over the course of a year with the long-range goal of supporting a client's access and use of technology to advance progress in education, socialization, communication, employment training and career opportunities. We also celebrate our partnership with Comcast for transforming the Client Computer Lab, with updated hardware, software, WiFi and more. For more information about these initiatives, contact Marti Sullivan at msullivan@thearcsf.org.